In our digital world receiving a holiday card or letter can instantly bring a smile. It’s a classy, old school way of letting people know you’re thinking of them. Addressing and sending those cards, though, well that can feel like you’re receiving a pile of coal. Let this year be the year you tackle the holiday mailing list as we show you how to organize a holiday mailing list. 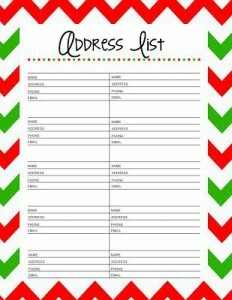 With a few simple tips on how to organize a holiday mailing list. you can easily organize mailing list for years to come. Go on, make someone’s day with a holiday card. 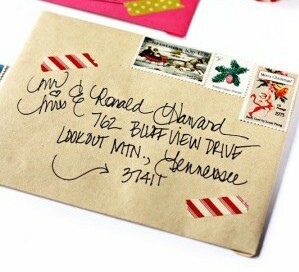 First things first, commit to the task of mailing holiday cards. Set aside a few hours to tackle your cards in one sitting or set aside a few minutes each day giving yourself a clear deadline. Next, and here comes the stressful part, you need to pick your contact “universe.” Most likely you have the addresses of everyone you’re going to send a card to, but they may be scattered between your home and office, possibly half in an address book and half stored in your work contact list, maybe even some on your social networks. Now is the time to consolidate your contacts and their addresses in a single format. Decide between Apple tools like Calendar, iCloud, and Apple Mail or Google tools like Gmail, Google Calendar, or a simple Excel spreadsheet or an online card store. If you’re missing some addresses, a quick email should suffice. Tell your family and friends you’re updating your contacts and would like their latest information. The most important thing is to pick how you are going to keep your contacts organized and stick with it. Having your contacts spread out amongst a handful of services is an easy way to become disorganized and overwhelmed. After you’ve picked your organizing universe, export all of your contact databases. When you export contacts from various places, you will be left with a series of spreadsheets and then you’ll need to import them into your organizing universe of choice. It’s likely you’ll have duplicates and will need to sort through your list to weed them out. Google has an easy way to do this with Find & Merge Duplicates or you can use a spreadsheet tool like Excel to find your duplicates and remove them. Now it’s time to organize your contacts by type. You’ll want to sort your contacts into friends and business contacts, as the holiday cards you send to those groups will likely be different. After you gather your list and remove duplicates, you are ready to use that list to send your cards. 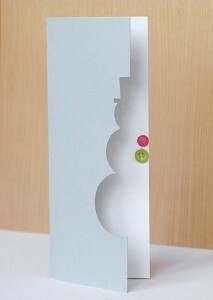 Decide how you will address your holiday cards. If you used Excel to organize your addresses you can create address labels from the spreadsheet or if you are using another program you can easily export them into Excel and then create the labels. If you have nice handwriting and not too big of a list consider addressing the cards by hand. Double-check that your return address is correct on the envelopes. Keep a few extra cards and blank envelopes on hand in case you receive a greeting from someone you left off your list. Update the address of anyone whose card is returned as non-deliverable. These simple steps on how to organize a holiday mailing list will save you time for years to come.